These beautiful Roberto Coin earrings are from the Appassionata collection. 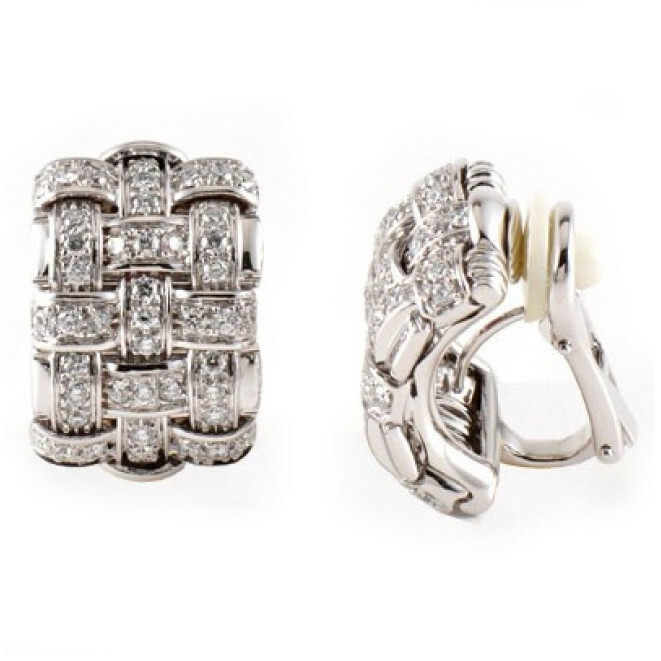 Crafted in 18kt white gold, they are encrusted with stunning white diamonds. The hinged backs will keep the pair comfortably in your earlobes. 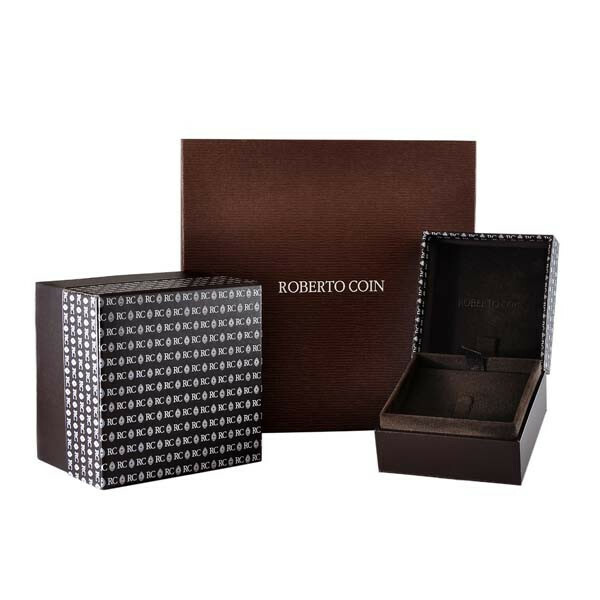 Get a double-take when you where these amazing Roberto Coin earrings!